POULINA sells her products in the small store that is at her weaving workshop. 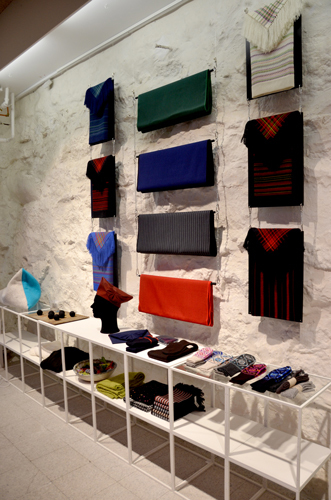 Her designs can also be found at Öström in Tórshavn, where designers, artists and other creative people exhibit and sell their creations. If you have questions or want to order something, you are welcome to mail or call us.